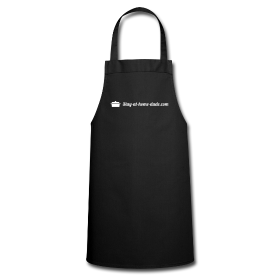 And the winner of the Stay-at-home-dude kitchen apron is Ines! Congratulations! Many thanks to all of you! Just found you on the Freeletics search. Nice work dude. I am helping too, but in the UK. Have a look. http://www.flatter.org.uk. Would not mind the apron Stefan. Perhaps we can work together and I can put it on my website to help you get followers. Let me know.